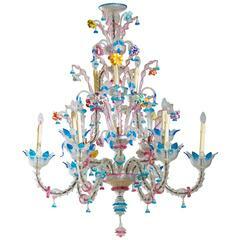 Elegant, Italian Venetian, Ca' Rezzonico chandelier, blown Murano glass, multicolored, 1960s This chandelier is a colorful portrait, entirely handcrafted in blown Murano glass, in the Italian, Venetian Murano island. 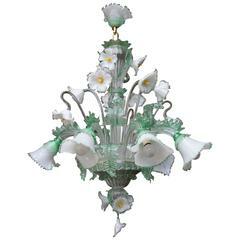 The chandelier is composed by 9 arms, having completely top oriented, separated with colorful long leafs and surrounded by many flowers allocated in the first and second floor. 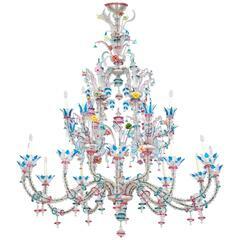 This chandelier has a unique design production, and its manufacture is dated 1960s. 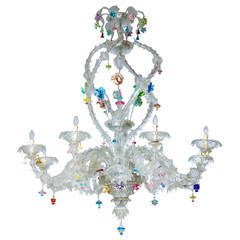 The chandelier is in very excellent conditions as documented in the attached pictures. 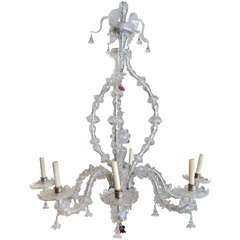 We offer for free the professional rewiring of the chandelier, based on your country specifications. 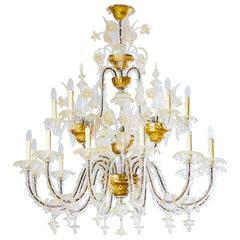 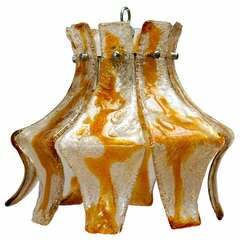 Murano blown amber glass chandelier, Italy.